If you’re experiencing shedding, balding, or anything in between, it’s important to know you’re not alone. Impacting approximately 21 million women and 35 million men in the United States, hair loss is a common concern for everyone. Due to the commonality of hair loss, we offer multiple hair restoration treatments that regrow your natural hair, reverse the signs of aging, and restore your self-confidence. Follow along to determine what your hair restoration journey could look like, including what to expect before, during, and after your procedure. Before your procedure, it’s normal to have questions and concerns about hair restoration. Your physician will happily help you through this process. By speaking with a physician about exactly how hair restoration restores hair loss, you’ll have complete confidence in receiving a treatment that will deliver the results you want. You understand the benefits of hair restoration and feel confident in your treatment decision. The next step is the procedure itself. In an effort to be transparent, below are the steps we will take during each hair restoration treatment offered at Arizona Dermatology. Scientific research indicates that low-level lasers in hair laser therapy stimulate cellular activity. The emitted light accelerates cell turnover and promotes the growth of thicker, stronger, healthier looking hair. Your area of impact will be assessed by our top dermatologists. You’ll put on special glasses or eye pads for safety. When you’re ready, the low-level laser therapy (LLLT) light will be emitted. The light from the laser will give your affected cells a boost of energy to trigger hair growth. After the procedure, results will vary. Previous results have been proven successful for enhanced growth, feel, and texture of hair. Hair transplantation works by transferring unaffected, healthy hair tissues to balding areas. This procedure is most commonly used on patients with male pattern baldness and is guaranteed to produce your own hair in an otherwise balding or thinning scalp area. First, unaffected hair at the back of your head will be trimmed. The donor hair tissue will then be removed. The extracted hair tissues will be prepped for implantation. We will proceed with the implantation of each hair follicle. These hairs will be implanted at the appropriate angle and direction to ensure natural growth. After the procedure, hair growth is guaranteed. PRP Therapy is centered upon the logic that hair will grow if your hair follicles and hair roots are healthy. In order for your hair follicles and hair roots to remain in good health, they must receive blood supply as their main form of nutrition. Plasma rich protein works by injecting your own blood into your hair follicles to encourage new, healthy hair. We will draw your blood like any standard blood drawing from your doctor’s clinic. The special container will then be placed in a machine called a centrifuge. Platelets with abundant growth factors are then injected into your scalp where thinning is present. After the procedure, the treatment immediately starts working to restore lost hair. Previous results have included new hair growth and a thicker hair consistency. 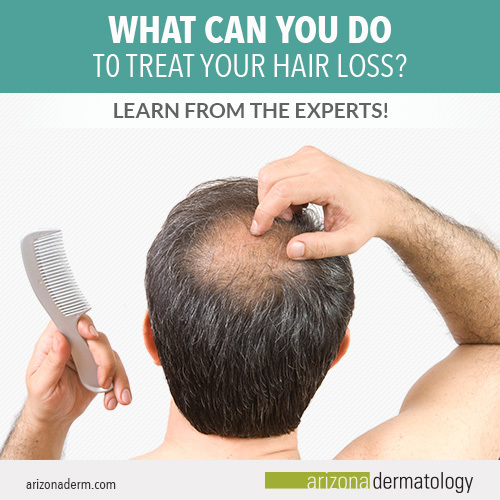 Learn more about hair loss and hair restoration treatments from our experts at Arizona Dermatology. Here we will discuss exactly what you can expect after hair laser therapy, hair transplantation, and plasma rich protein (PRP) therapy. Hair laser therapy is completely pain free, with little to no side effects. Immediately after your procedure, you can plan on returning to your daily activities. After the therapy, you should have accurate expectations of how your hair may look, as some results vary depending on the patient. Hair transplantation is the only hair restoration process in which we can guarantee hair growth. This surgery allows you to have a full head of natural hair you can wash, cut, style, and enjoy for the rest of your life. 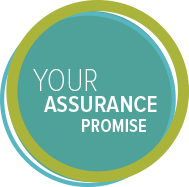 However, with this guarantee, you should expect some soreness, tightness, scabbing, and possible numbness within the first three weeks of post-operation. Plasma rich protein (PRP) therapy is a hair restoration treatment with very few risks and no recovery time. As a completely safe procedure with mild side effects, such as minor tenderness and swelling, you can expect to be back to your daily activities the very next day. At Arizona Dermatology, we’re staffed with board-certified physicians that have over 25 years of hair anatomy training and hair restoration experience. Dr. Neil P. Superfon, D.O., Dr. William Ko, M.D., Dr. John A Ebner, D.O., and Dr. Edward M. Galiczynski, D.O. customize every hair restoration treatment to their patient’s own unique hair loss condition to ensure an incredible experience and a natural finish. Don’t let hair loss sacrifice your quality of life. Finally get naturally grown hair by contacting us at Arizona Dermatology. Our top doctors across the Valley will help get you on the path to new, healthy hair you can call your own.